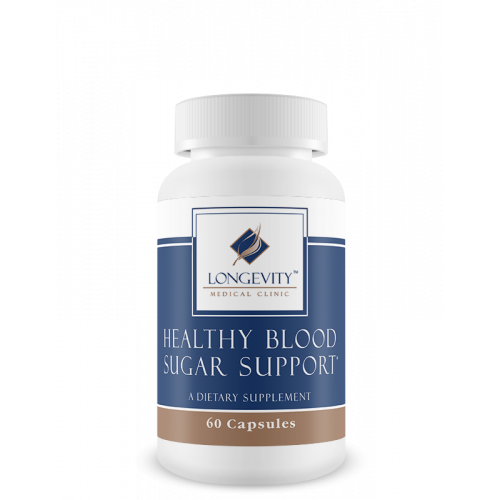 Would you like to save even more with automatic re-orders of Healthy Blood Sugar Support? 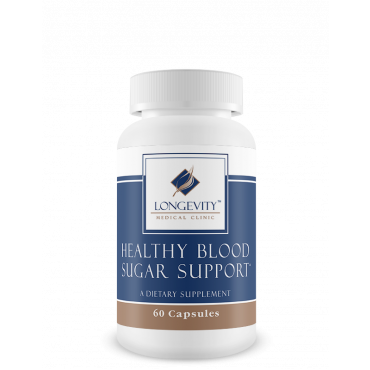 Save 10% with automatic re-orders of Healthy Blood Sugar Support every month. 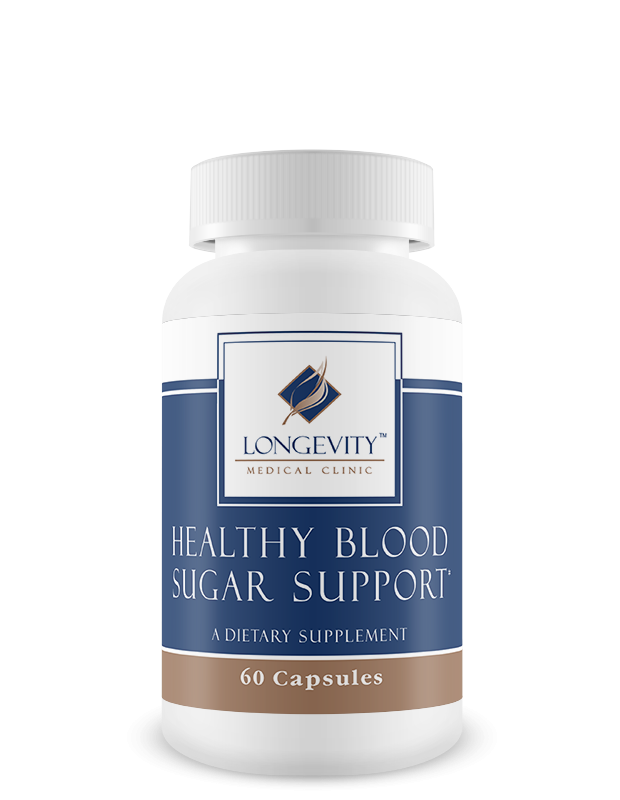 Other ingredients: Rice Flour, Silicon Dioxide, Maltodextrin Capsule (Gelatin, Purified Water). 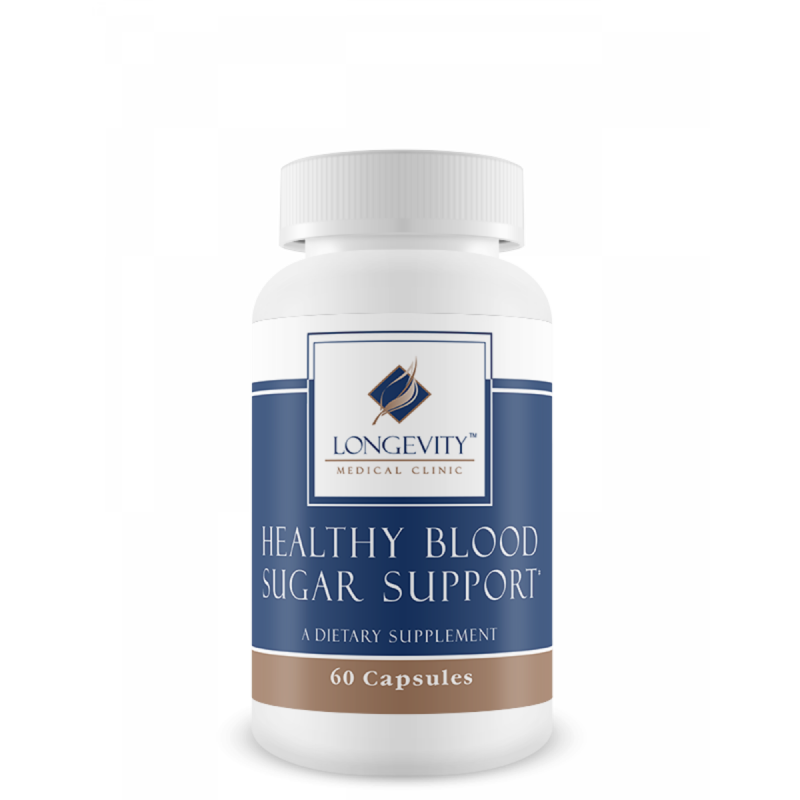 Recommendations: Take one (1) capsule twice daily with meals or as directed by your Longevity physician.